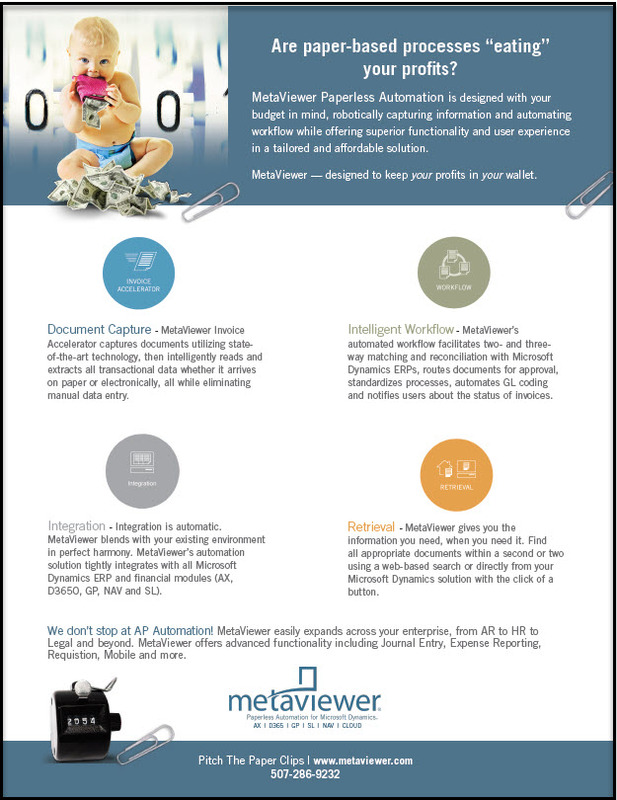 Why MetaViewer - Paperless Automation from Metafile. From accounts payable to accounts receivable, from HR to management - everyone can share the efficiencies of paperless transactions. With MetaViewer, you have full visibility to all documents, from source to settlement, internally and externally, via document imaging, report management and unparalleled workflow solutions. You're now free to focus on what you do best: managing customer and vendor relations and improving your cash flow. Technology to automate your tedious paper processes in every department. The MetaViewer paperless automation solution is the fastest and easiest way to capture, manage and access data. By capturing information from virtually any document – both print and digital – MetaViewer allows your organization to effectively manage all its business-critical content. It is this simple, yet revolutionary access to information that enables an equally impressive search proficiency throughout your entire enterprise. And why it’s unlike any other automation solution out there. MetaViewer lets you automate all your processes from accounts payable to accounts receivable and human resources. Workflow Automation from Procurement to Payment. Document Management Emphasizing People, not Paper. Despite the influx of technology, today’s workplaces are still buried in piles of paper. That’s where we come in. MetaViewer uses robotic process automation (RPA) technology to automate tedious, manual tasks that are taking up valuable employee time. What are the perks of going paperless with RPA? Time savings: No more routing documents and searching for lost invoices. Automated workflow does it for you, and gives you a heads-up about pending payments and what is sitting in queue. Increased ROI: Think about the costs that you’re cutting be eliminating paper. Printer ink, postage, filing cabinets and folders are no longer needed when documents are digitized. Improved accuracy: MetaViewer follows your business rules to make sure documents are routed to the proper approver and indexed properly for easy search and retrieval. Enhanced visibility: No more wondering what’s pending and what’s been paid, executives have a full view of the financial process, eliminating bottlenecks and allowing them to make more data-driven decisions. 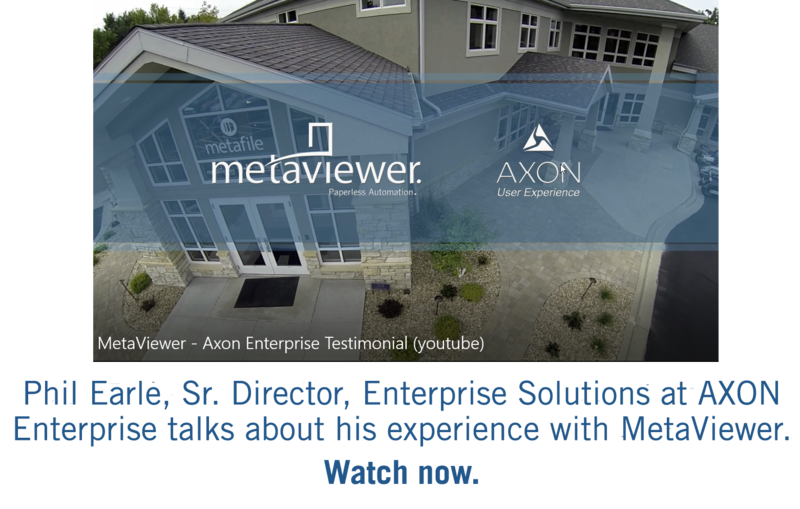 Enterprise expansion: Go beyond the AP department and use MetaViewer’s enhanced functionality and automated workflow to go paperless in other departments, including AR, HR and Legal. Want more information about MetaViewer? © Copyright - Metafile Information Systems, Inc.